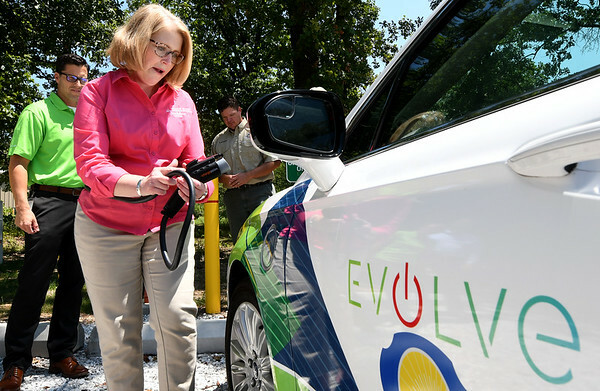 Wildcat Glades Conservation and Audubon Center Developmental Assistant Robin Standridge checks out the new electric vehicle charging station during ribbon cutting ceremonies on Friday at Wildcat Glades. To the left is Empire District Vice President of Customer Experience Brent Baker. The dual charging station is part of Empire's EVOLVe, an incentive program that encourages the use of electric vehicles.